Newly peaceful following several turbulent decades, Sri Lanka’s tourism industry is developing in leaps and bounds. Hospitality is warm and abundant, transport is convenient, and accommodation – particularly in the independent boutique sector – is world-class. 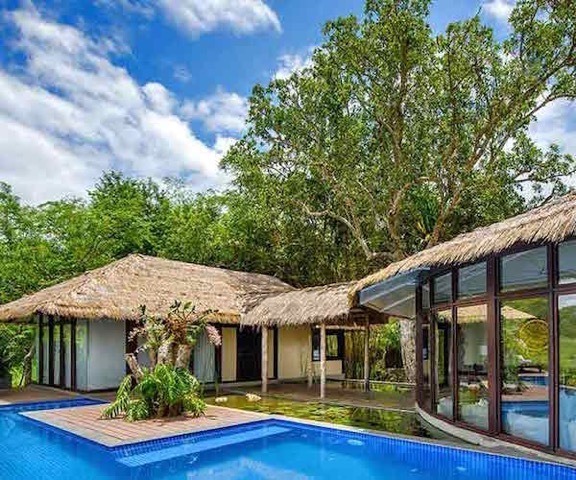 Long a preserve of budget-conscious backpackers, Sri Lanka is now experiencing a renaissance in its luxury tourism industry, with a number of excellent properties, private lodges and safari parks opening in recent years. This, combined with the country’s unparalleled scenic beauty and legendary hospitality, has skyrocketed Sri Lanka to world-class status as a luxury honeymoon destination. The country has more than its fair share of mega resorts and impersonal hotels, particularly on the overdeveloped southwestern coast. But while the crowds line up at hotel buffets and squabble for sun loungers, smart honeymooners who are willing to get off the tourist trail will enjoy the country in all its romantic and authentic glory. Here are eight of Sri Lanka’s most exclusive romantic getaways. 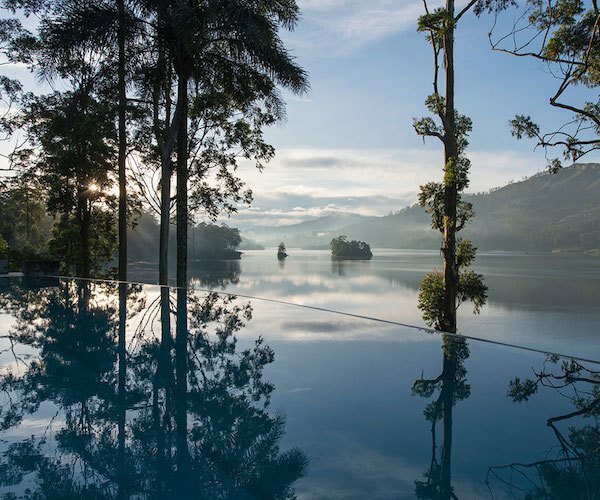 Fast becoming the posterboy for Sri Lanka’s emerging luxury tourism industry, the country’s only Relais & Châteaux property commands a stunning location in the picturesque hills of tea country. 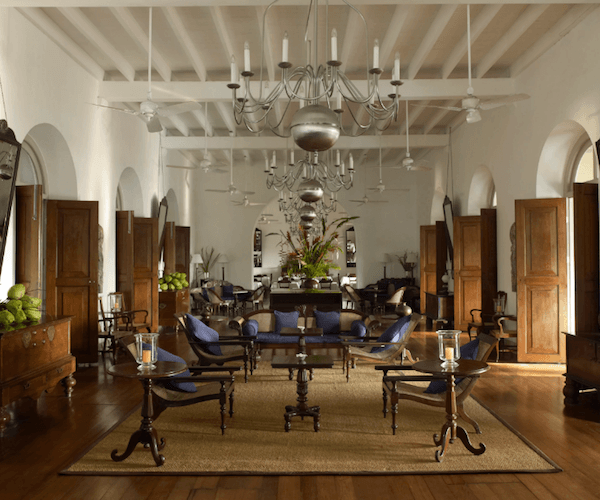 Five plantation houses have been converted into first-class accommodation that combine ultra modern luxury with colonial elegance and charm. Rooms boast four poster beds with crisp white sheets, and come with your own personal butler! While much of Sri Lanka’s southern and western coastlines are an overdeveloped mess, Amanwella is a reminder of how luxury beach escapes ought to be done. 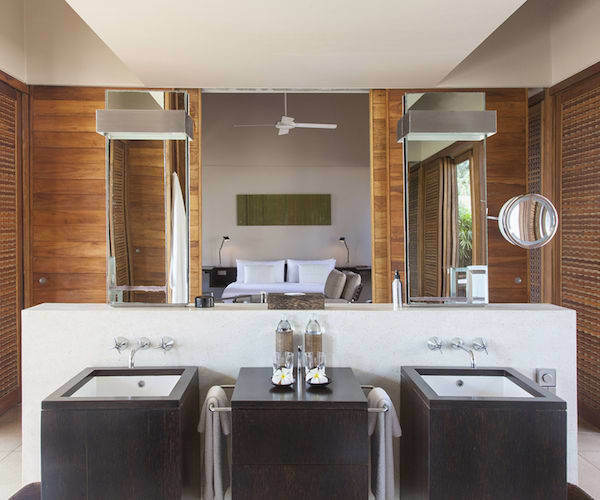 Twenty minutes drive from Tangalle and located on an otherwise deserted beach, Amanwella’s minimalist and understated elegance makes it a dream spot for a secluded honeymoon. Formerly the New Oriental Hotel, Amangalla is now an Aman property that offers bygone period charm updated for the modern traveller. The original edifice was constructed in 1684 and the building’s grand heritage has been lovingly maintained. The experience inside is exceptionally polished and sumptuous, with magnificent suites and flawless personal service. With its walled gardens and sleek poolside, Amangalla is a romantic oasis in the heart of a bustling historic city. 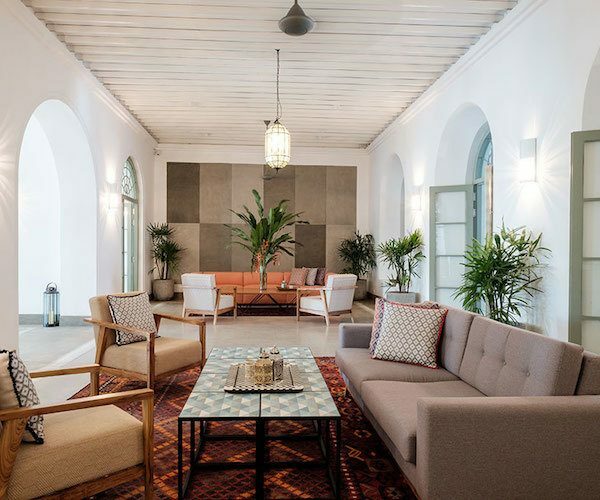 The Fort Bazaar is a meticulously restored merchant’s house and is a masterpiece of interior design that eschews the predictable colonial-era vibe that has been well overdone elsewhere. Fantastic food and perfectly situated in the heart of the old fort. A small boutique hotel of five rooms just a few minutes inland from Tangalle. The main building is an ancestral house with a contrasting modern addition that houses three of the rooms. The villa is adjacent to a local temple and overlooks working paddyfields. The gardens, with mature fruit trees and strutting peacocks, are delightful. Ulagalla has 20 chalets (each with their own plunge pool) across 58 acres of working paddyfields. At the heart of this eco hotel is an old wallawwa (manor house) which provides a perfect setting for the superlative restaurant. Ulagalla is a short drive to Anuradhapura and offers superb private activities such as bird watching, bike riding and horse riding. 18 tented lodges set among a working tea plantation offer fantastic bird watching, in-house yoga and fantastic dining, much of which is sourced from the organic herb and vegetable garden. The lodge runs a great community programme, empowering local people and reinvesting profits into the local community. Sri Lanka might not be the first safari destination you’d think of, but that works to the high-end traveller’s benefit. 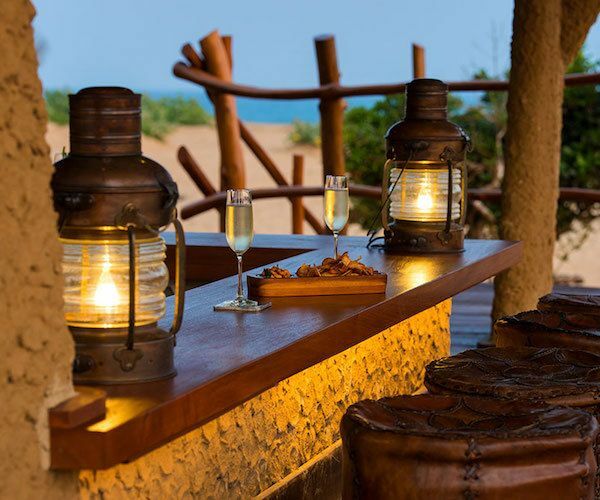 Yala National Park is home to elephants, leopards, jackals, and much more, while the luxury boutique Chena Huts offers crowd-free wildlife spotting in ultimate style and comfort. 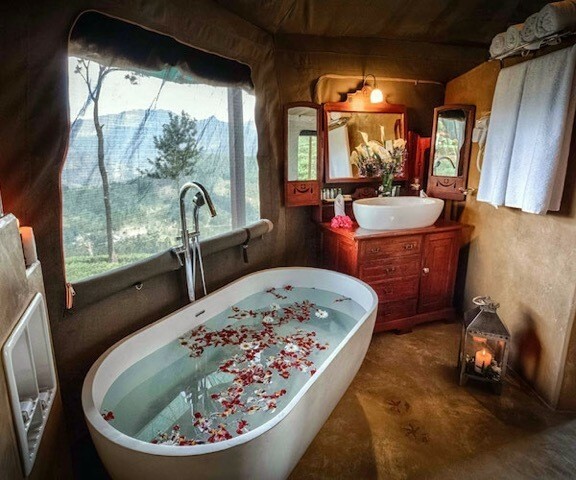 After a day of private safari, spend a romantic evening in your own plunge pool with the deck lights on, watching the park’s creatures go about their nocturnal activities. Matthew Barker is Co-Founder of Horizon Guides. 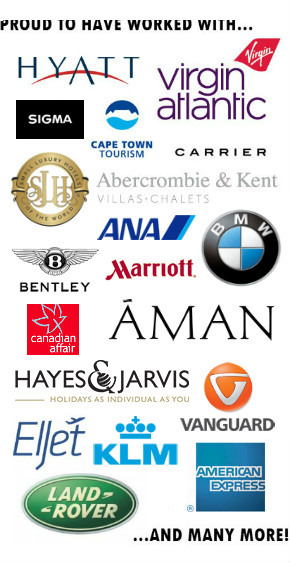 Horizon Guides is a publisher of special-interest travel guides. I have seen so little of this wonderful country Matthew. Nothing like these views above dude. I only did a month in Colombo a few years ago. Time to head to the beach on my next trip to enjoy some fine R and R in a lovely place. I will say the Lankan beaches look similar to the beaches I visited in the deep south on India. Have to agree on Ulagalla and Amangalla. Ulagalla is the most wonderful place we have ever stayed.